Carmen Smith is visual artist based in Miami, FL. She holds a BFA from Virginia Commonwealth University School of the Arts and a BA from Randolph College. Minimally executed and inspired by architectural drafting techniques, her paintings explore the emotional and intellectual attachments we make to place. She is interested in capturing how places influence our experiences, inform our memories, and can even become part of our identity. 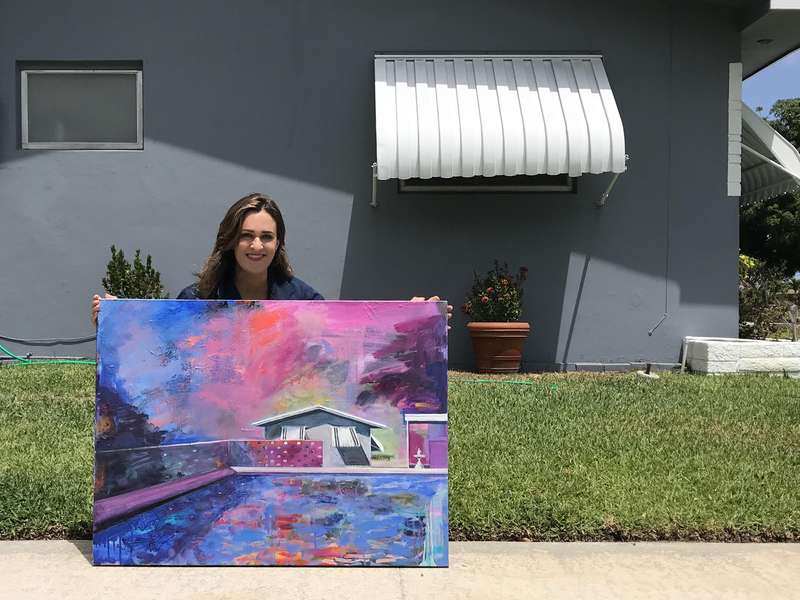 Central to her practice is engagement with the urban landscape and observation of the architecture, colors, light, nature, history and community in her own neighborhood and home area of South Florida. Carmen has shown her popular series “High Noon” in galleries and fairs nationally and is looking forward to several upcoming international presentations.